My first look would have to be my go-to, favorite outfit, that I could wear every single day (and that I've been honestly living in for the last couple of weeks). 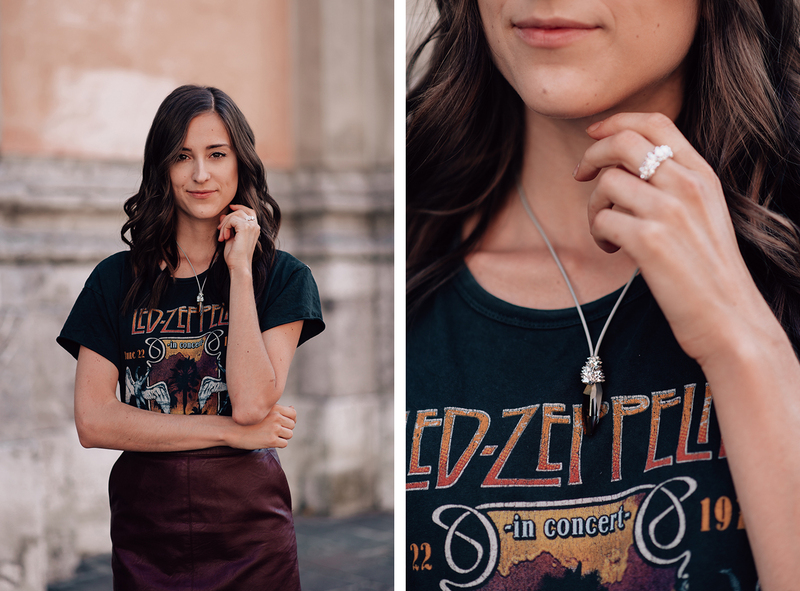 I believe for the most part, my style could be described as rocker-chic, as I love adding a little bit more edgy pieces to my looks, such as band T-shirts and leather details. And so for this look, the Lencia Stonehenge collection was an obvious choice! The collection was inspired by prehistorical sanctuary, it's combination of different stones, the power of solstice and capturing the contrast between summer and winter. And I believe it's rough cuts and slight edge goes perfectly with my look, matching that rock'n'roll vibe! To spice up my second look, I picked the Lencia Volcano collection, a beautiful set of necklace and earrings, that was inspired by the old legends of Hawaiian islands, the power of volcanos and their goddess Pele. The beautiful colorful necklace creates a perfect contrast to a really comfortable and toned down outfit, paired with a little bit more simple asymmetrical earrings that add that final touch to the whole look! Last but not least, I decided to play with symmetry a little bit and that's when Lencia Qube steps in! Inspired by cube of course, this collection follows the simple geometrical lines, while creating an amazing abstract compositions at the same time! 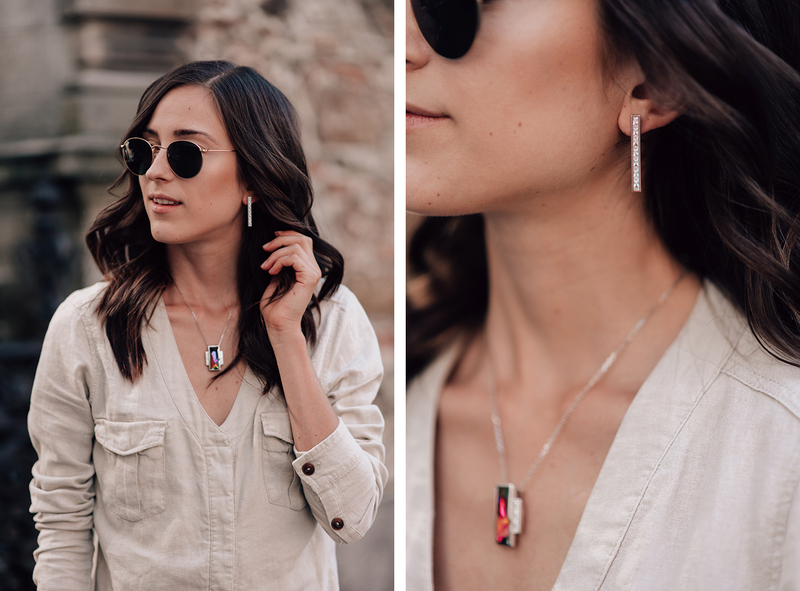 The color of the crystal, changes depending on the light and our perspective, creating that perfect little twist snd when paired with simple striped shirt, these beautiful pieces create a nice contrast, yet match the look perfectly! First one is my absolute favourite combo but I love all of the jewellery which you've presented here!